We seek to prevent homelessness through funding work that addresses its systemic causes. 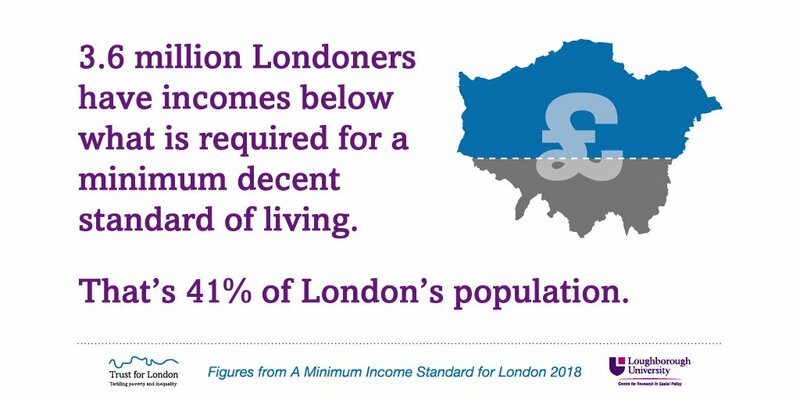 Our priority is to ensure London has enough affordable, high-quality homes for people on low incomes, and that the voices of people affected by housing need are heard by decision-makers. Our work on welfare reform seeks to ensure that those who are struggling financially do not become trapped or pushed into crisis situations, but instead have access to support to help get back on their feet. We also support work to tackle unfair differences in people's chances to access safe, decent and affordable housing. We hope that this drive for prevention will reduce the need for funding homelessness services in the longer term. We support Groundswell and Homeless Link to ensure that the voice and experiences of homeless people influence decision-makers. Funding to Crisis, the RSA (jointly with the Cabinet Office) and JustLife, explores potential solutions for rapidly rising numbers of families in Temporary Accommodation in London. Our grants to the Refugee Council and Project 17 through the Strategic Legal Fund, have helped to define the housing rights of marginalised groups. And to see more data about homelessness in London, look at London’s Poverty Profile.